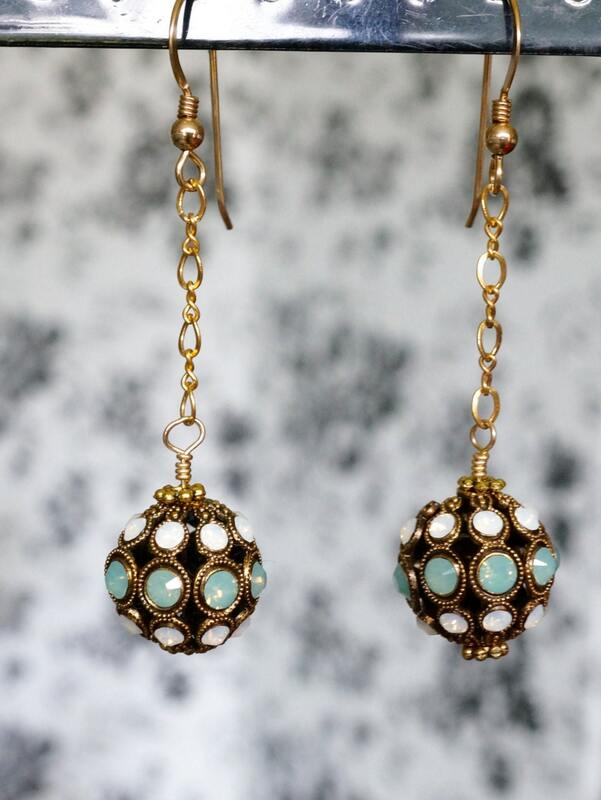 Here you have a pair of earrings made with my favorite vintage looking beads: German Swarovski encrusted filigree rounds. The crystals are a mint green and alabaster colors. They are about 2 inches long. 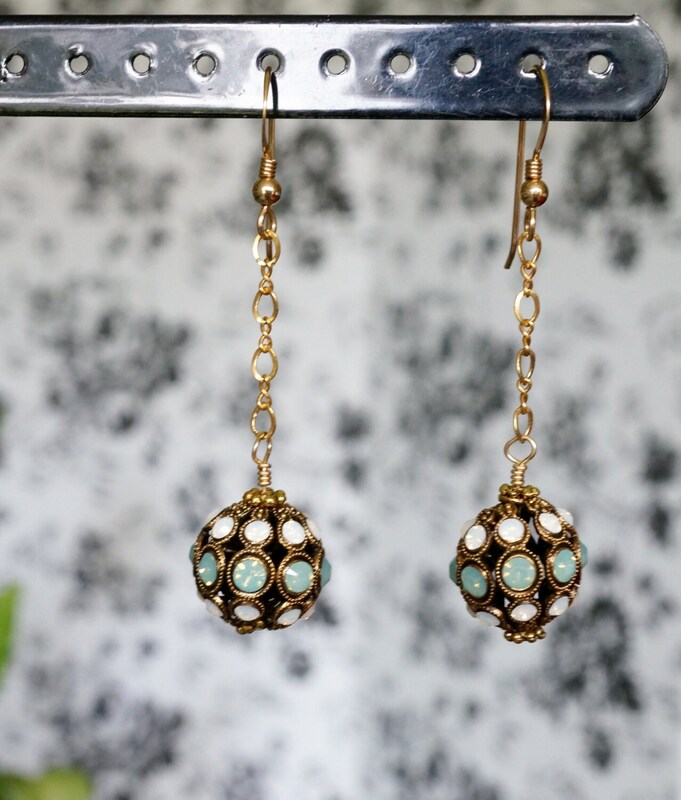 Please know that these earrings are one of a kind piece. I do not repeat the exact same designs. You will be the only one to own it! Nobody else. That is what makes my jewelry so exclusive.